ANTÓNIO GUMENDE (Mozambique) said development partners must honour and scale up the funding pledges they had made in the areas of disaster prevention and climate change resilience, adaptation and mitigation. A robust and efficient United Nations system, and its partnerships with regional bodies, could play a catalytic role in accelerating national development and strengthening democratic political systems. He reaffirmed Mozambique’s commitment to the 2030 Agenda, emphasizing that a focus on people had always been at the core of its national development efforts. Unregulated migration and massive refugee flows were in large part due to unresolved crises or poorly settled conflict situations, he said, urging the international community to redouble efforts and build consensus to prevent senseless loss of life. 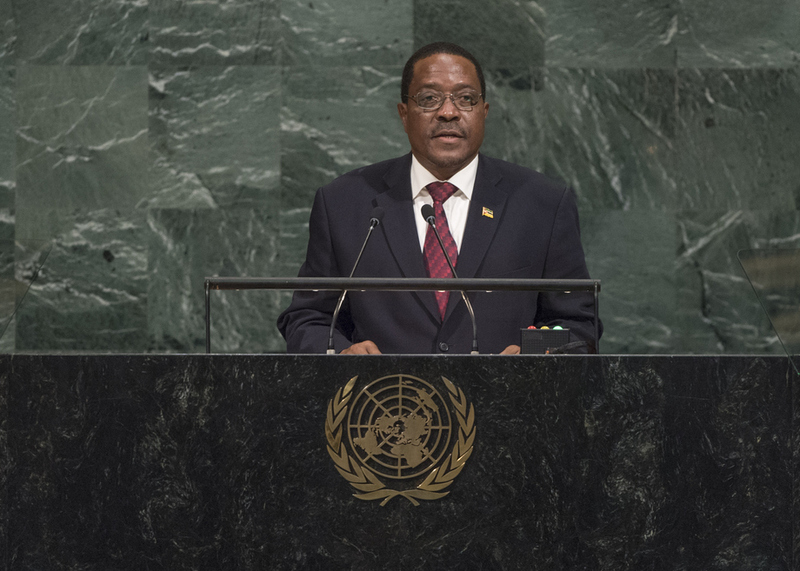 He conveyed Mozambique’s concern over the risk of nuclear confrontation on the Korean Peninsula, and the lack of progress on Western Sahara’s decolonization. Lack of consensus among Security Council members to initiate text-based negotiations on reforming that body constrained Member States’ ability to enhance its credibility by making it more representative, he said, calling the Council a fundamental pillar for the success of the 2030 Agenda.